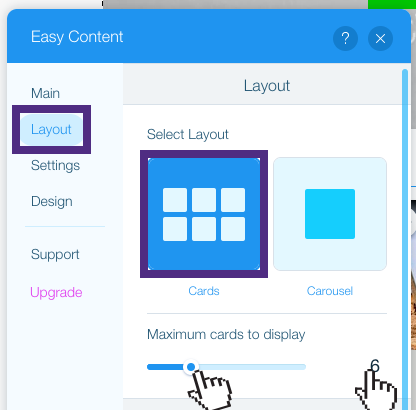 Easy Content allows you to display content in either card or carousel options. 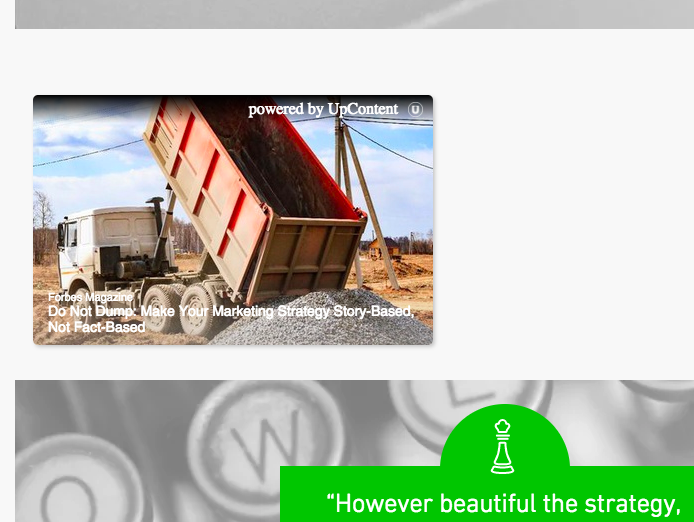 With Easy Content, you have two options in which to display content. These are either the cards layout, or carousel layout. The cards layout will display individual pieces of content in a grid pattern. You can choose exactly how many cards appear in this grid by either sliding the meter or entering a number in the box to the right. The carousel layout will display only one suggestion at a time, however different suggestions will rotate in and out. 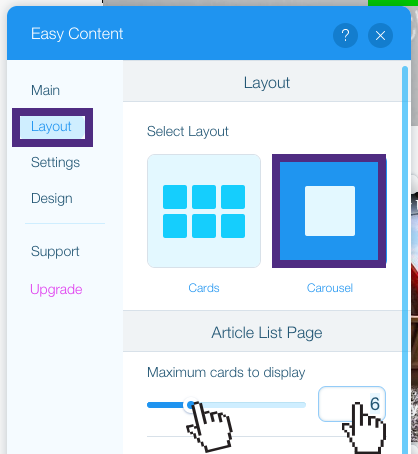 The appearance is still in a card format, however more information such as the full article headline, total number of articles, and your carousel title will be included. The advantage of this is the ability to add multiple carousels based on different interest areas you may have. To change the appearance of your carousel view, click on "Design". 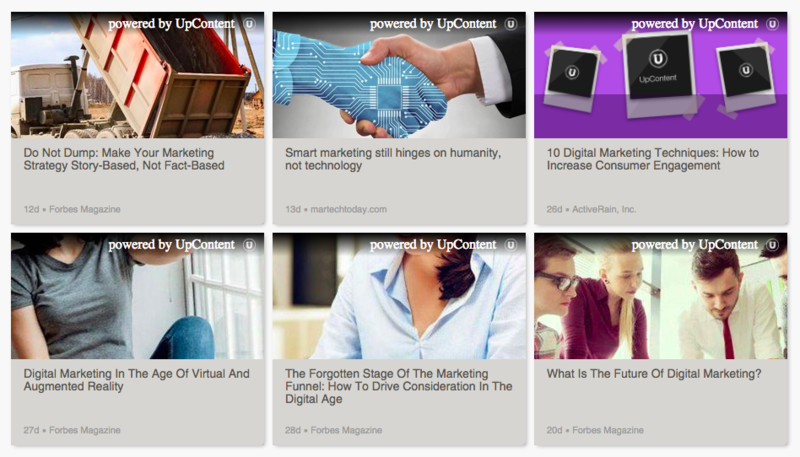 Most of the content we find will have an image attached to it, however not every article will. Instead of displaying a blank space or our default image, you can select a "Placeholder Image" to appear in it's place. You can choose whichever image you like to appear here. This is a Wix functionality, to learn more about images and how to add them, go here.